What can brighten the day more than an unexpected happy message? Instant Happy Notes provides 101 sticky notes designed to share the smiles. Self-adhesive and perforated, these notes can be peeled off one at a time and posted anywhere a grateful recipient will see them-- mirror, door, TV, car window, desk. 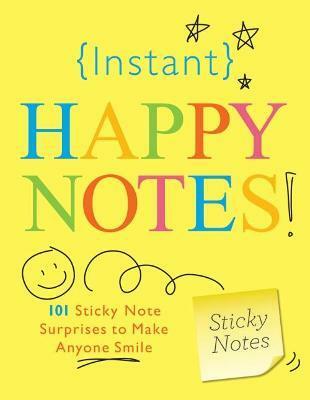 Packaged in an innovative sticky note format unlike any other happiness book, Instant Happy Notes offers 101 mini-messages of joy and has the power to instantly boost anyone's happiness.